Turns out awkward McGee has always been awkward, as we learned on NCIS Season 13 Episode 15. Christine: Kids of Government Agents Need to Be Microchipped! What are your thoughts on Special Agent Valeri Page? Kathleen: Eh. She felt a bit tacked-on. 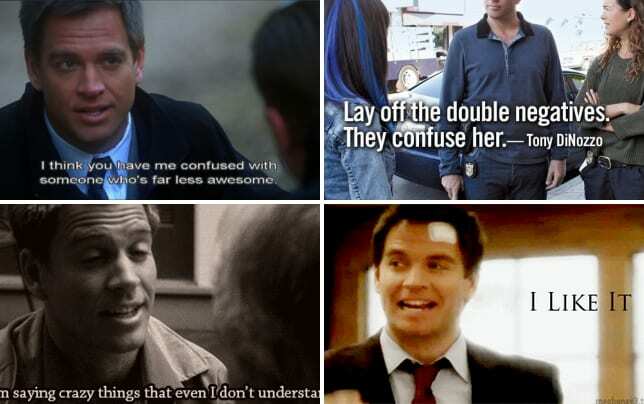 We've known McGee for over ten years now, and all of a sudden here's this awesome, amazing NCIS agent he's known since childhood? And she's only now coming up? Surely her existence would have merited mention years ago. Of course, the writers hadn't thought of her years ago. David: I agree with Kathleen, but I liked her. McGee and Delilah are like two peas in a cyber-pod. Page's role as the trainer makes her seem too physical for McGee, but I think that's the appeal: she's like the anti-McGee. The un-McGee? Christine: She just seemed unnecessary to me. I kept wondering what her point was until she swooped in with her team at the end to help save the day. Doug: It was interesting to watch Gibbs act so cool toward her. Tony kept telling her there was nothing to worry about, but Page's sense about Gibbs was right on. Too bad they didn't explore that further. Kathleen: It felt a bit obvious that SecNav's ex-husband's girlfriend would be involved somehow. For obvious reasons (both money and plot coherency), shows don't usually introduce seemingly-extraneous characters like that unless they actually have some sort of significance to the story. 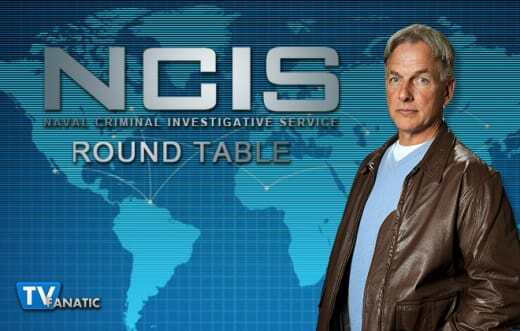 Plus, the story felt weirdly similar to the time that Fornell's daughter in NCIS Season 11 Episode 10. 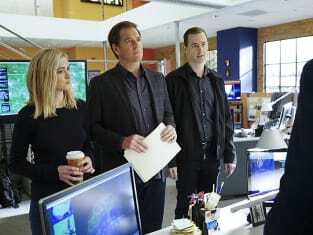 David: I hadn't considered the seemingly extraneous character, but when Abby told Gibbs that the daughter scratched one of her captors, thus providing forensic evidence, I too was reminded of Fornell's daughter and how she led NCIS to her captors. That said, I thought it was entertaining enough, but we've seen this kind of story before. Christine: Yeah, it felt like we just had Fornell’s daughter abducted not all that long ago. 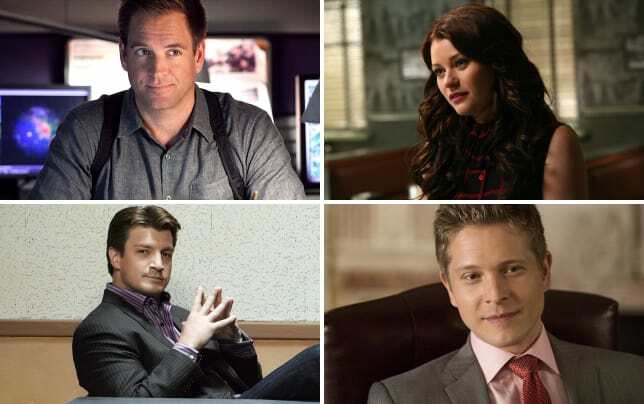 Are kids of government agents in that much jeopardy? Other then that, I figured it was either the father or his girlfriend. When the father got shot, the girlfriend appeared to be the more likely candidate. Doug: I thought the girlfriend was in that room just as a tool to get the SecNav's anger up. Never thought she'd turn out to be one of the bad guys. The case made me wonder about high ranking government officials' families and the protection they're given. We all know about the POTUS and his family but what about the families of lesser officials? It made me curious. Kathleen: The appearance of laser sights on the bad guys at the end of the episode. Yep, bad guys, you're busted. Honorable mention goes to Tony once again being reminded of the time he kissed a guy. He will never, ever live that down! For perspective, that incident occurred way back in NCIS Season 1 Episode 19, "Dead Man Talking." That's twelve years ago! David: I don't know why, but SecNav's remark about Gibbs' "fresh coffee detector" made me chuckle. Christine: Tony asking if he resembled Don Johnson from the Miami Vice TV show or Colin Farrell from the movie. I see more Don Johnson myself but it made me laugh. Doug: I liked Gibbs' and the SecNav's heart to heart at the end. The whole question about Porter quitting and Gibbs' unusual reaction was telling, as was his final response about family being important. I think it symbolizes Gibbs' realignment of priorities. I mean Porter was right: in the past, Gibbs would have browbeat her about the importance she has to the Navy and how critically she's needed. He didn't, this time. That's an important change. Did you see any problems with the episode? Kathleen: I didn't have any huge glaring problems with the episode other than what I've already mentioned above. 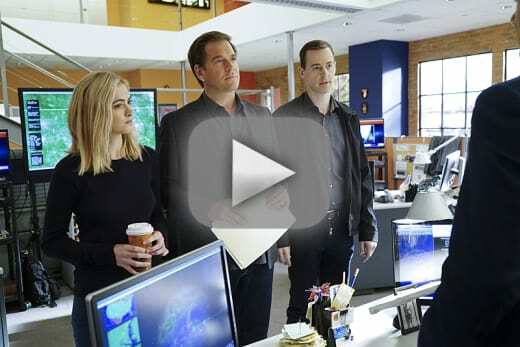 "React" wasn't enormously awesome or amazing or anything, but it was a solid episode of NCIS. David: Nothing stuck in my craw either. It had all the elements of a good kidnap story with a few well-placed explosions. Christine: I liked a lot about the episode…except Valeri Page. She just seemed like such an unneeded extra she was almost distracting. Doug: I disliked Fornell grabbing Tim's tea, taking a sip and realizing it was not coffee and throwing it away. What is it with senior officers and their continual disrespect toward underlings on this show? And Tim doesn't even work for him. If they're trying to change McGee into a senior team member, they should have made him call him on it. And if they were going for a joke with that scene, they failed miserably.